A painting programme in which young artists develop a painting linked to Pamela Brown's large canvas 'Dress' paintings. Children will draw to develop images of their house, pets, and landscape and these will be the subject of their large painting on paper. We will find out about artists, who like Pamela Brown, draw and paint about their domestic environment. Lots of linked drawing projects inspired by artists who love to draw, like Oliver Jeffers. We will learn about artists who work with similar themes using mixed media. Working with tins and cardboard young artists will create an armature that will then have a papier mache skin and paint applied, to create a creature of our own design. theartdept's Young Artists workshops are the ideal way to enhance your child's creativity. theartdept offers ideal teacher:student ratios with small class numbers of up to 15. Each five week programme involves a freshly generated topic that reflects the current New Zealand Arts Curriculum. 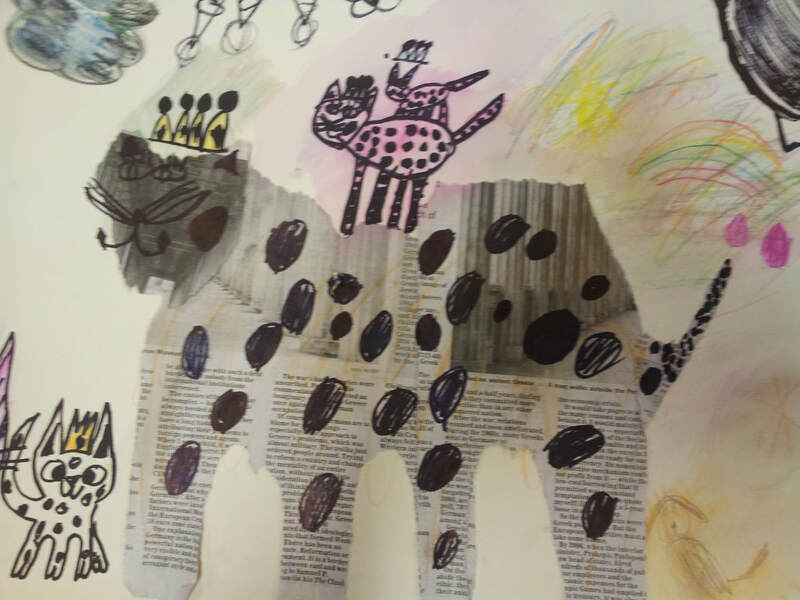 All visual art programmes have a rich knowing about art component; the children look at and talk about the work of artists when developing ideas for their own artwork. A special effort is made to include the work of contemporary New Zealand artists. 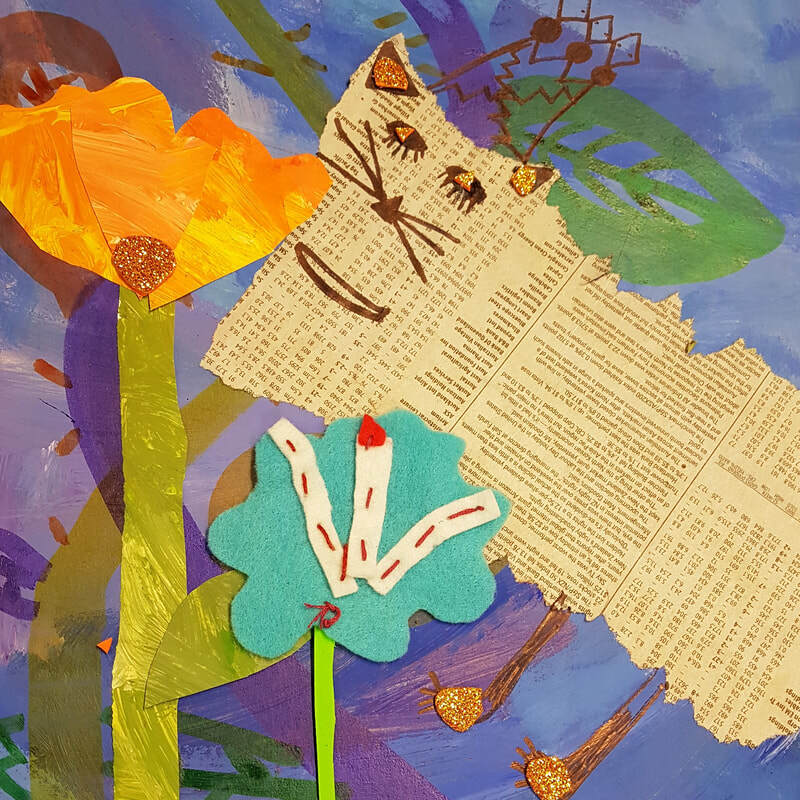 In every programme, drawing in a number of ways is used to develop and extend ideas and links with painting and or printmaking, collage and working with clay. theartdept programmes also have a rich language focus; art ideas are introduced and expanded using picture books and class discussions. Pamela and Kerry are registered teachers and visual art educators who have a wide experience of working with primary aged children. Both are practising artists who aim to spark life-long learning in the arts. We look forward to working with your children to unleash their inner creativity. Numbers in each workshop are limited, so book early to avoid disappointment.